Depending on where you live, spring temperatures can differ greatly. Here in the Pacific Northwest it is still pretty chilly most days (high 40’s to mid 50’s). While I am ecstatic to shed my big winter coat and snow boots, it’s not quite time for tank dresses or shorts. This Tobi shirt dress has been a great transition piece for my spring wardrobe. I am wearing it with tights and booties, but as the weather warms up I will probably ditch the tights and reach for some cute espadrilles or black flats to complete the look. I’m not going to lie; shirt dresses can be tricky. I got lucky with this one. I love how billowy it is without looking like a tent. Also, I love the length. 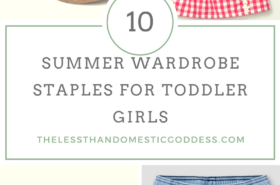 As a mom, I don’t really do short skirts/dresses anymore. This is a great look for a sunny weekend brunch and afternoon window shopping in Seattle or even a long overdue date night with hubby. Sadly, this fine looking dress is sold out! Here are some other spring dresses with sleeves that I would totally wear. 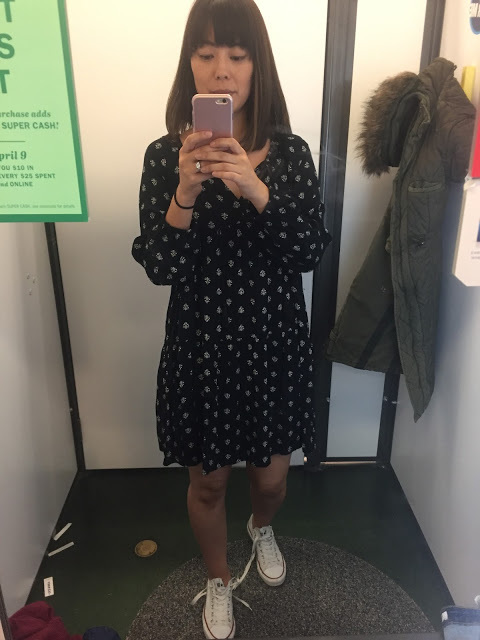 I did some shopping over the weekend and tried on all my picks for you (minus the Target one) so you can see what they look like on a real person! 1) Sanctuary Lace Trim Shift Dress via Nordstrom ($119) – I felt like an eloping boho bride in this dress. All I needed was a flower crown. It was a cute dress, but definitely see-through (if you look close enough you can see my neon pink underwear). I’m wearing a size S. Also, I tried on an Old Navy look alike (see #3) that was much cheaper and had a slip underneath! 2) J.Crew Flutter Sleeve Shift Dress in Eyelet Black ($118) – I LOVED this dress! The quality was great. I loved the bell sleeves which are so “in” right now. I am wearing a size 4 here. I am usually a 2 in J.Crew, but felt like the 4 fit me perfectly. 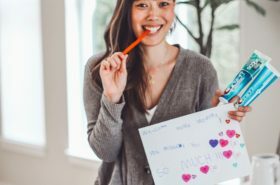 It’s currently 30% off! 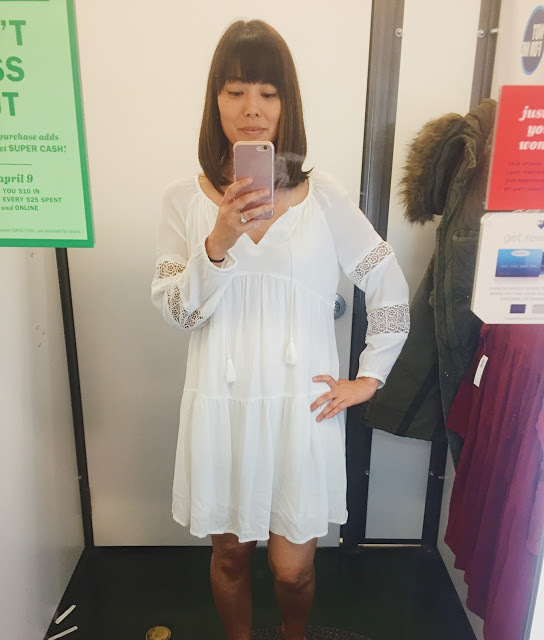 3) Target Women’s Lace V Neckline Empire Short Sleeve Dress ($30) – I really love this dress for spring/summer and am hoping it goes on sale at some point! 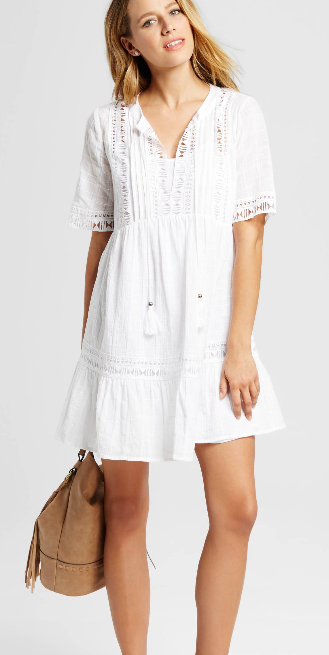 3) Old Navy Tiered Lace-Trim Swing Dress in White ($40) – This was another favorite even though it didn’t photograph very well. I could easily wear this to Mother’s Day tea at my daughter’s school with a denim jacket or even to the beach with sandals! I’m wearing a size S. The price was great and ON always has sales. 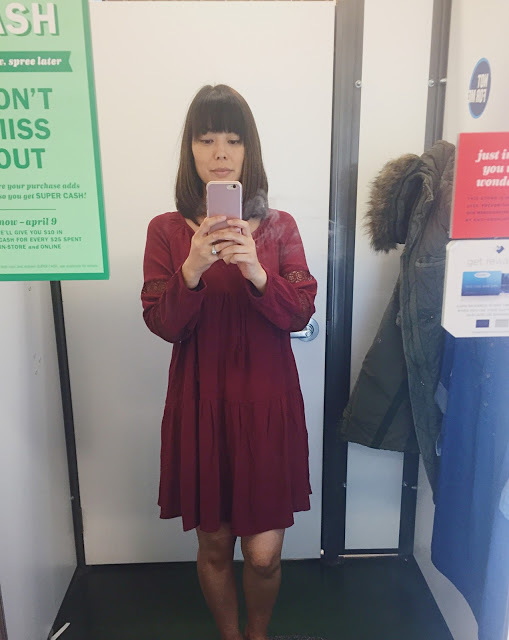 4) Old Navy Tiered Lace-Trim Swing Dress in Dark Red ($40) – I loved this mahogany color as well. In fact, I loved it more online than the white one. In person, it felt more “fall” to me as opposed to “spring”, but I still liked the dress and would recommend it. This is a size S.
5) Old Navy Patterned Boho Swing Dress ($40) – This boho swing dress surprised me. It is easy to wear and seems like a very versatile piece for any closet. I would wear this out with one of my many olive green jackets and sandals (no, not my Converse). 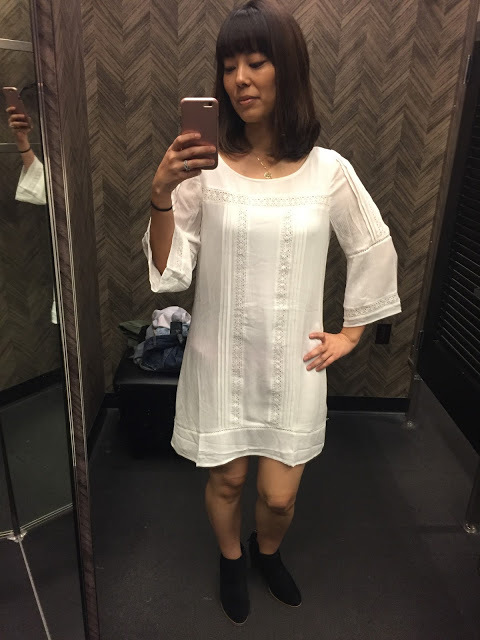 I am wearing this dress in a size S.
Anyone else have a favorite dress this season? These are really cute, although I prefer my dresses a bit longer – at least to the knee! Love these effortless boho looks! 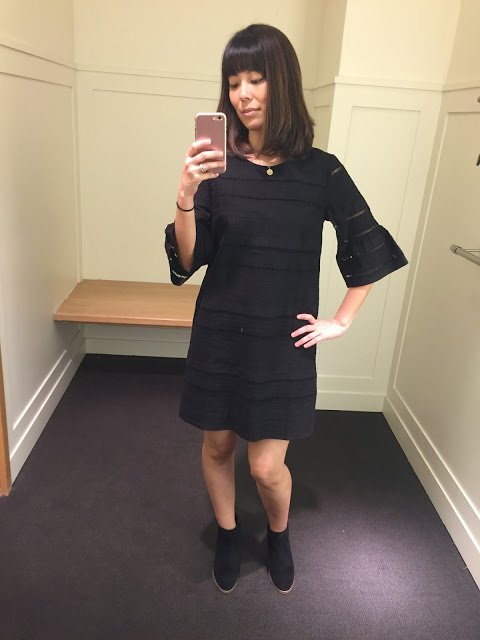 LOVE the J Crew Flutter sleeve dress! It's the perfect LBD for Spring! I love these shirt dresses for spring. comfortable, flowy and feminine! You look great! You do boho chicccc soooo welll. Beautiful my friend. <3 Love all of the tops/dresses! These are my kind of outfits. COMFORTABLE & trendy! I love the white one especially! Totally my spring style, too! Definitely love the shirt dress look. Been thinking of doing a look like this one and Im sold! I love love love your outfit. SO pretty! So pretty! I love the white one!! I want all of these! They're all so cute!